Waterproof versus water resistant: In the world of synthetic roofing underlayment, there are a lot of questions about these two terms. What does it mean for an underlayment to be truly waterproof? Read on and we’ll show you! What is the Difference Between Waterproof and Water Resistance? In industry standard terms, waterproof means that an underlayment will completely prevent water infiltration no matter how it is installed, so long as it is installed by a manufacturer-approved method. Water resistant or water shedding underlayment is an underlayment that will protect a roof deck from moisture, but the potential exists for some water infiltration. Because most synthetic roofing underlayment must be installed with cap nails or staples, and because these underlayments do not seal around the fasteners, they are typically considered water resistant, not truly waterproof. Products like Epilay’s Protectite line are technically waterproof in that water cannot penetrate the layers of the material, but any punctures caused by fasteners, even if they are sealed with caps, come with the potential to leak. In other words, these types of underlayment will protect a roof against water, but there is still some risk of water infiltration through nail holes, thus they are considered water resistant. To get a truly waterproof barrier, you’ll need to use a peel and stick underlayment like Epilay’s Plystik Plus. The difference between Plystick and Protectite is that Plystik is a self-sealing underlayment. This means that if you use nails or other fasteners to fasten it to the roof deck, the underlayment will seal around those punctures, creating a truly watertight barrier. And there you have it! While Protectite and other synthetic underlayments will shed water, some moisture may still seep in around fasteners. So, if you need a truly waterproof barrier, one in which there is no chance of water infiltrating around fasteners, then choose a self-sealing peel and stick underlayment like Plystik. 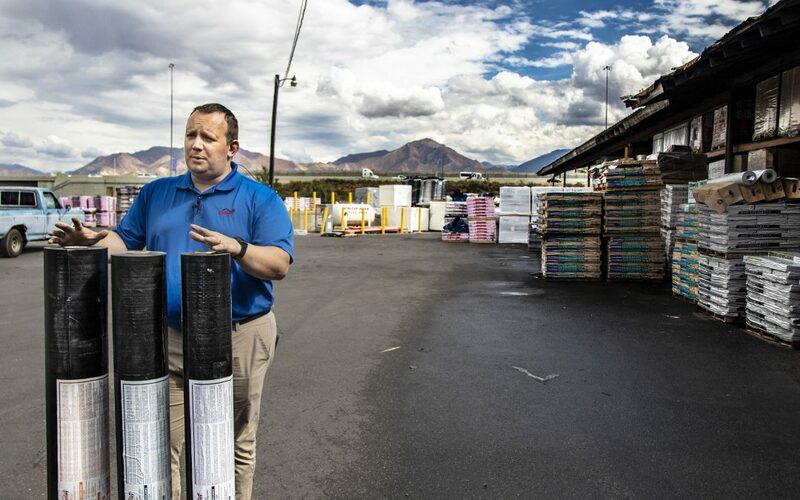 For more information on water resistant and waterproof underlayment, check out the video below in which our regional sales manager Chris explains the difference.